Deneane Richburg grew up a competitive figure skater, spending time in spaces where she felt she had to check her racial/cultural identity at the door, as the predominantly White skating world excluded her ancestry’s truths; to quote Zora Neale Hurston, Deneane always felt “most colored when [she was] thrown against a sharp white background.” As an adult, she realized the need to carve out a space for her ancestral history, so she established Brownbody, a creative home for her artistic work that fuses theater, dance, social justice practice, and skating. Through Brownbody, she honors the complex narratives of Black diasporic communities. 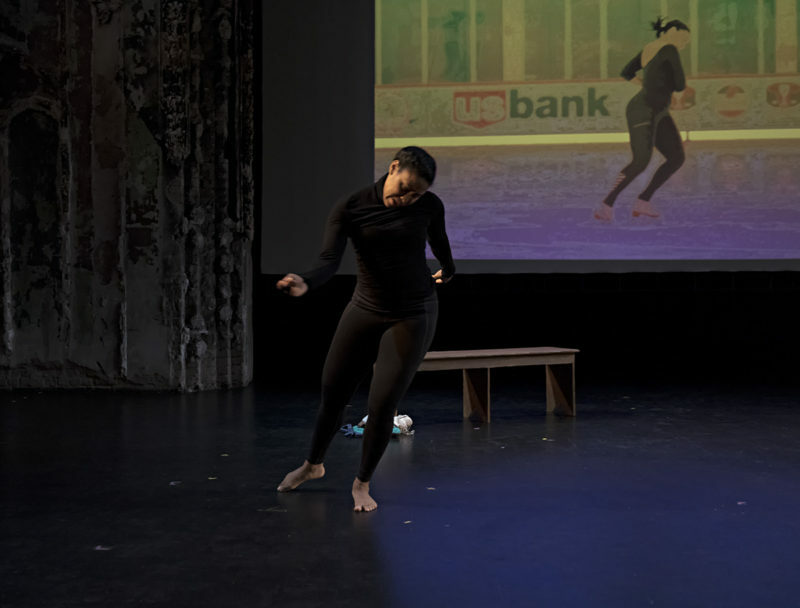 As a modern dance choreographer and skater, Deneane is interested in bringing a heightened sense of energetic pathways and corporeal shapes performed by a Black body moving on the ice. Acknowledging the presence and absence of blackness within the predominantly White space of skating is key. Doing this from a Black perspective helps reframe the conversation around Blackness occupying/not occupying certain spaces so that a voice—perspective—is affirmed that too often, is shut out of important conversations that deeply influence Black lives. Deneane is a grateful recipient of a 2017 McKnight Choreography Fellowship administered by the Cowles Center and funded by The McKnight Foundation.